New Zealand’s Marlon Williams has been on the road nonstop since releasing his sophomore album, Make Way For Love, this past February via Dead Oceans. “On ‘Make Way For Love,’ Williams’ penchant for shimmering, swooning arrangements is alive and well, but driven by a darker, more adventurous spirit that goes a long way toward maturing his sound” (AV Club). Last night, Williams returned to CONAN where he and his band, The Yarra Benders, performed Make Way For Love’s “What’s Chasing You.” This followed a stunning performance of standalone single, “Vampire Again,” and the album’s “Nobody Gets What They Want Anymore” on Last Call with Carson Daly last week. 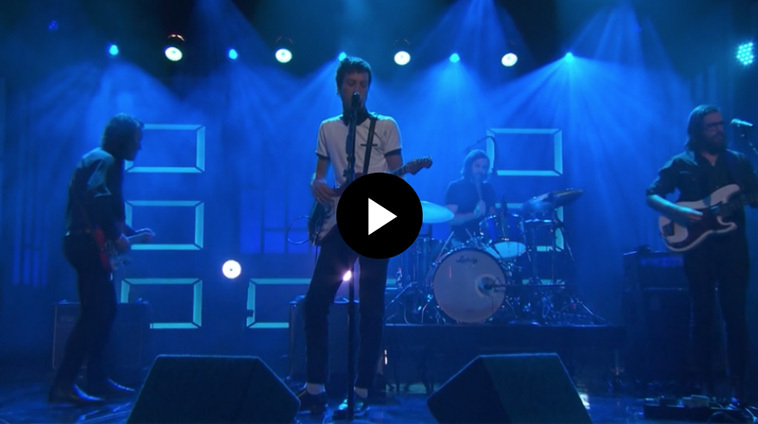 You can watch his performance on CONAN here. Williams continues his largest ever headline tour, playing the Great American Music Hall tonight in San Francisco and Shaky Knees Festival in Atlanta this weekend before heading home to New Zealand and Australia.